The revolutionary technology is being used on the Air Force Research Laboratory’s (AFRL) Satellite for the High Accuracy Radar Calibration (SHARC) mission, which was launched from the International Space Station via NanoRacks LLC earlier this year. Among other goals, SHARC is demonstrating calibration capabilities needed to track orbital objects such as satellites and debris. The SMT arrays have been successfully providing power on SHARC for the last few months. 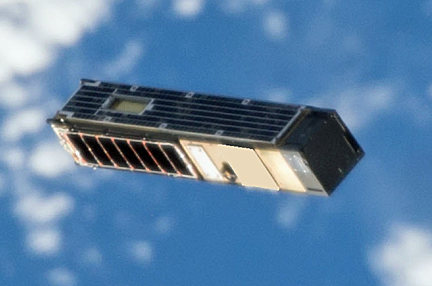 Artistic rendition of the SHARC satellite on orbit after launch from the International Space Station. Image is courtesy of NASA and NanoRacks. The SHARC solar panel is an efficient and agile product, was rapidly delivered to AFRL after the contract was awarded. The streamlined design, test and manufacturing process allowed the hardware to be completed in just three months. Future missions will continue to demonstrate this short time cycle for design and manufacturing phases — critical to the rapidly emerging small satellite constellation market. 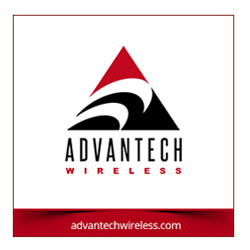 The patent-pending technology offers a significantly higher watt density through automation and standardization. The manufacturing process supports broad scalability and high reliability by reducing human contact. Power data from the SHARC mission is being used to confirm performance models and project expectations. Initial markets will be for 20W to 3kW range missions, but the technology can support large communication satellite power requirements. John Roth, VP of business development for SNC’s Space Systems business, stated that future missions will benefit from the company's SMT technology in two possible ways. Spacecraft with the same-sized solar array as a traditional system will have more power for payloads, or the panel size could be reduced — giving that weight and volume to other critical systems. This provides our customers with design flexibility at a much lower cost. Kyle D. Kemble, Air Force Research Laboratory Mission Manager, added that platforms such as the SHARC satellite help validate our missions as well as other new technologies, such as SNC’s SMT solar arrays. This mission is the perfect example of how small satellites, co-developed between government, academia and industry, can prove state-of-the-art technologies and determine the future of next-generation satellites. The SmallSat Symposium will be the hub for a highly informative gathering of hundreds of subject-matter experts and leaders within the SmallSat market segments from February 5 through 8, 2018, at the Computer History Museum in Silicon Valley, California. For additional information and to register for this major trade event, please visit http://smallsatshow.com.